You know when they start throwing terms like ‘Grimoire’ about, you’re in for some serious swords and sorcery, magic and mayhem. It’s like a shortcut to genre identification. You might scratch your head at Book of Zero, roll your eyes at F.A.Q. 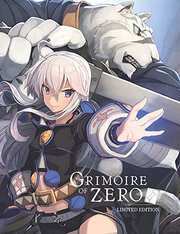 of Zero, but you know exactly where you are with Grimoire of Zero. Shortcuts like that also trigger instinctive responses in me, as the fantasy anime genre is not my favourite. At least I tell myself that I shy away from mediaeval settings, and the trappings of AD&D. 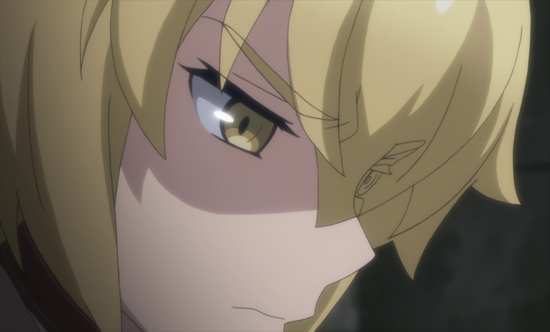 Then I see shows like Berserk, Slayers, Rage of Bahamut: Genesis, Rokka Braves of the Six Flowers, Yona of the Dawn, and Grimgar: Ashes and Illusions on my shelves, and I begin to suspect that it’s a lie I tell to divest myself of all anorak associations. Who am I kidding? I’m an anime fan. We’ve gone way past the anorak into cagoule territory. 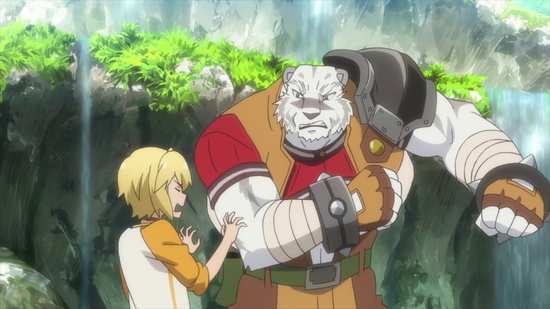 I have been looking forward to watching Grimoire of Zero! It’s a world that hates sorcery, where witches are persecuted and burned at the stake, the legacy of a long ago war between the church and the witches. One other legacy is that of the Beastfallen. Witches used to infuse people with animal attributes to make them stronger warriors, and that heritage can still crop up in families to this day, with the Beastfallen shunned as monsters and freaks. As a result, the Beastfallen tend to hate witches, and wind up in professions that use their skills as warriors to hunt and kill them. 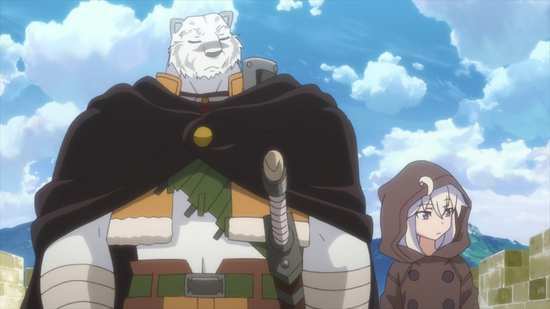 Grimoire of Zero is presented across 2 Blu-rays from MVM. The series first comes out as a collector’s combo release, and it will be subsequently followed next spring by standalone DVD and Blu-ray editions. Grimoire of Zero gets a 1.78:1 widescreen 1080p transfer, which is really quite good on these discs. However, I was enjoying the show a little too much to really pay attention to the minutiae of compression and aliasing this time. Certainly nothing marred my enjoyment of the fluid and detailed animation, well thought out character designs and wonderfully realised world design. 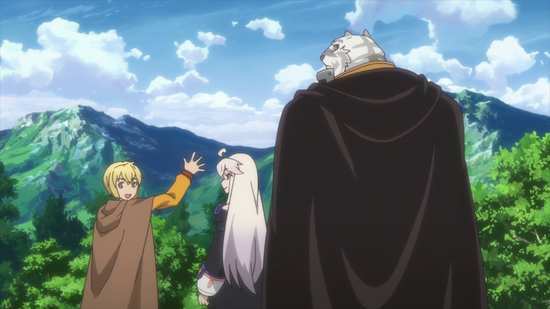 This show isn’t as epic an animation as Rage of Bahamut: Genesis, which itself put some theatrical animation to shame, but Grimoire of Zero is really in the top tier of anime production. You have the choice of DTS-HD MA 2.0 Stereo English and Japanese with optional subtitles and signs. The quality doesn’t diminish with the audio presentation, although this is one show where a surround track would have been appreciated. I went with the Japanese and was happy with the voice actor performances, impressed with the action and effects, and I loved the theatrical score for the show. The end theme song too is really quite special. The subtitles are accurately timed and are free of typos. I gave the dub a quick try, and I wasn’t immediately impressed with Sentai’s effort, with a dub that sounds a little too colloquial for its fantasy setting. The discs present the episodes with static menus. The extras on disc 2 amount to the textless credits (4 openings, one closing), 5 minutes of Japanese promos, and trailers for Log Horizon, Flying Witch, Beyond the Boundary, and Flip Flappers. If you’re going to borrow, borrow from the best. It’s not exactly news that any new story is going to remind you of other stories, and you could say that creators are always inspired by each other. 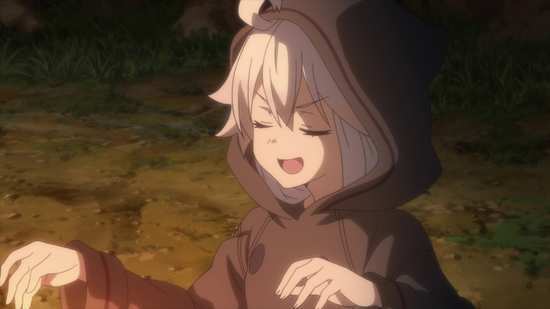 But Grimoire of Zero makes one specific character choice that makes the whole show come alive, and it is all the better for it. That you’ll most likely instantly place the similarities is a commentary on the strength of its inspiration. You see the character of Zero has much the same sensibilities as Holo the Wise Wolf in Spice & Wolf. She’s grown up isolated and underground, but when it comes to magic, there is no-one as skilled or as knowledgeable. Her isolation means that she lacks for the social niceties and common sense. But she does have a likeable personality, a quick wit, and a pleasant sense of humour. She likes a bit of verbal jousting, and can be quick to tease. She also has a warm heart, and when she trusts, she trusts implicitly. The Mercenary professes to hate witches, and because of his Beastfallen heritage (he’s basically a man-tiger) he’s slow to trust, and has developed a hard emotional armour against a lifetime of bigotry. But that conceals a kind heart, and a very human temperament. He has a dream of one day ending his mercenary lifestyle, settling down, and opening a tavern, not that any human would trust a Beastfallen to feed them. That’s why the prospect of Zero making him human again allows him to set his own prejudice aside long enough to get to know her as a person. It isn’t long in their travels that Zero comes to appreciate a broad furry chest as a bed, and so the good natured sniping continues and gradually grows into something more affectionate from both sides. This character dynamic holds the whole show together really strongly, and gives the viewer something to invest in. Not that the story is any slouch; far from it. 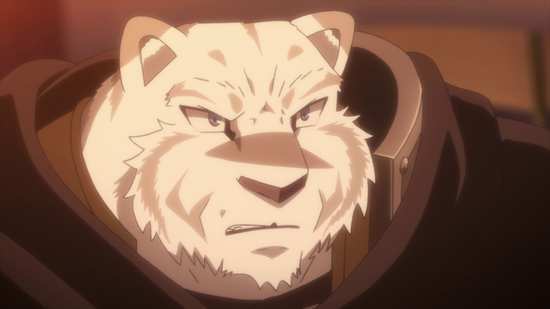 The story in Grimoire of Zero is really strong and well considered, and is on a par with the strength of characterisation in the show. The world gets an effective back-story which leads to the current situation, of witches being persecuted. But the new ‘technology’ of magic is likely to shift the balance of power away from the mundane humans to the witches, no longer confined to drawing symbols and circles to manifest their powers. 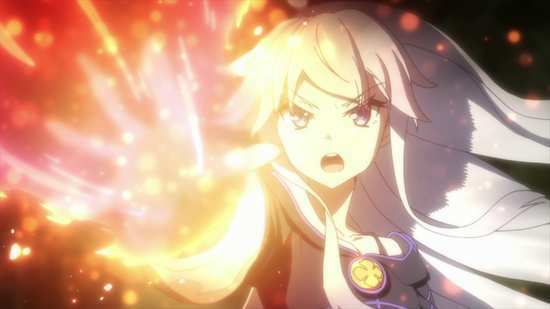 The burning of a powerful, and indeed popular witch named Sorena has sparked the current uprising, and the so-called Sorcerers of Zero have used the Grimore to spread and advance the cause of magic. Against them is the Church and the State, and the King has at his beck and call a ‘traitor’ to the cause, the State Sorcerer Thirteen, whose pogrom against the witches is brutal and absolute. 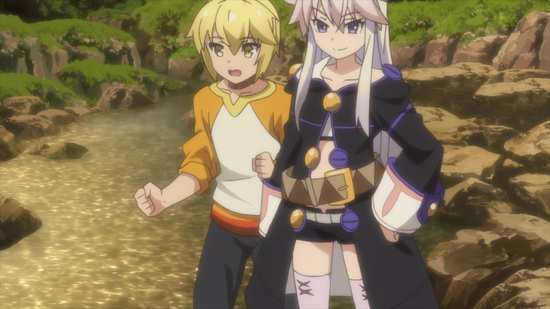 As Zero and Mercenary search for the stolen Grimoire, they get pulled into the middle of this impending war, and make the reluctant acquaintance of one of the Sorcerers of Zero, Albus. 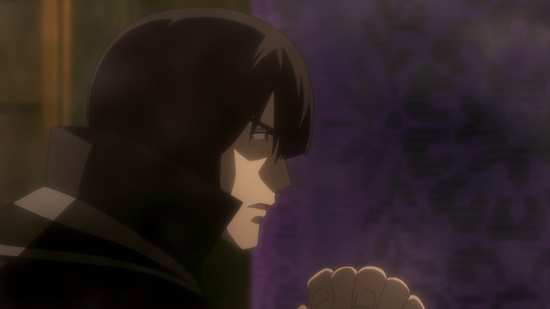 Albus too is looking for the Grimoire, supposedly in the possession of either their leader ‘Him’ or Sorena’s granddaughter, and this proves to be Zero and Mercenary’s first lead, but nothing is as it seems at face value. 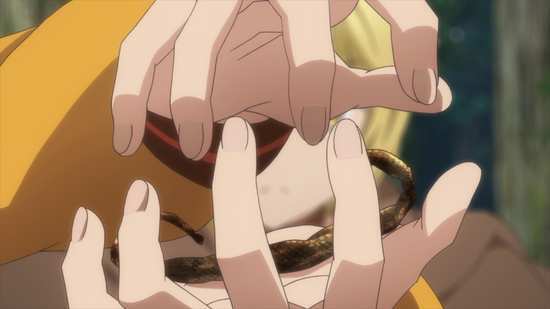 Once in a while you get an anime that transcends the mainstream, delivers a higher quality of production value and storytelling, and those are the shows that I love to discover. That this show manages it by borrowing from another transcendental show for its character interactions and style is no bad thing. 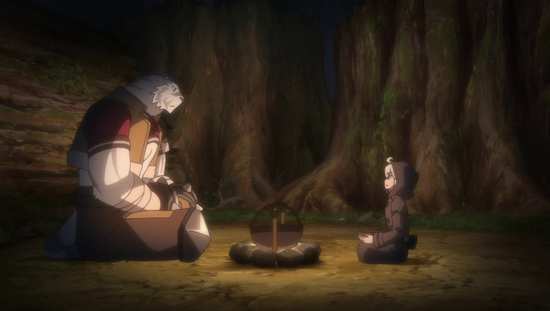 Grimoire of Zero is going on the ergonomically located, easy to reach shelf for repeat viewing, as this is a show that I will return to often.